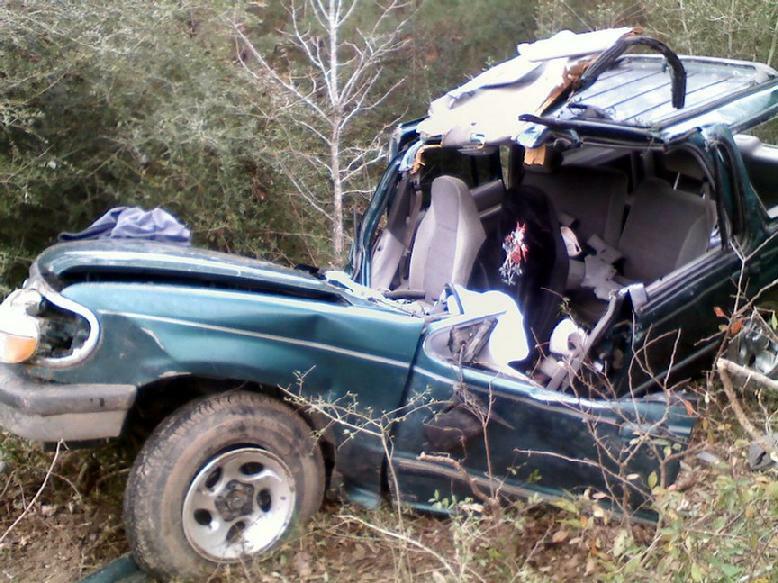 Life Flight Summoned for Accident on FM-943, Alcohol Suspected, SEGNO, December 4, 2008 - Shortly after 9:20 am December 4, 2008, a green 1998 Ford Explorer driven by Collette M. Mann, 29, of Livingston was west bound on FM-943 when her vehicle left the road to the right, rolled and slammed into a tree spinning the vehicle 180 degrees. 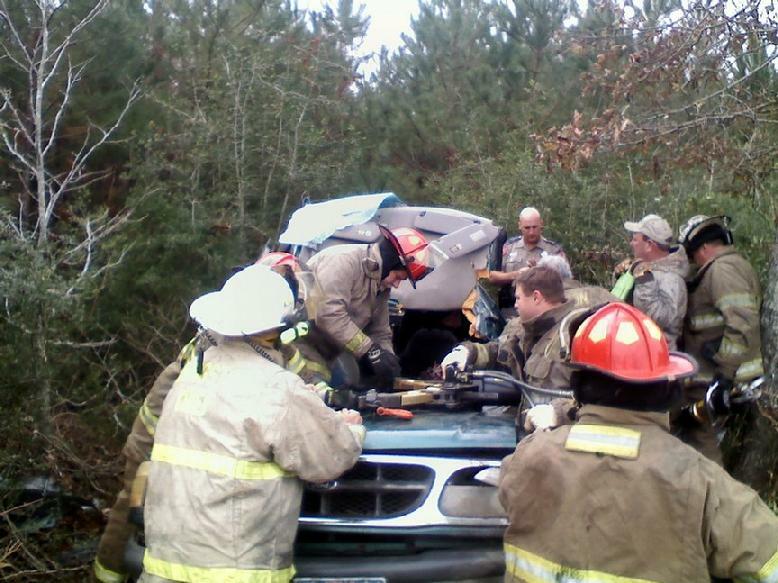 The impact crushed the roof of the vehicle and Mann's airbag deployed. Mann was trapped inside. 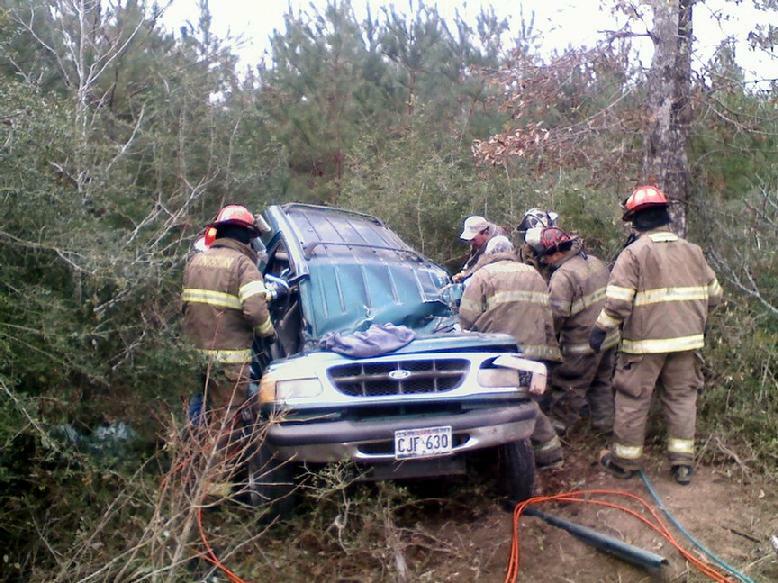 Livingston Volunteer Fire Department Heavy Rescue led by Chief Corky Cochran and Assistant Chief John Haynes was dispatched to the scene and DPS Troopers Kevin Burman, Darwon Evans and David Morris. 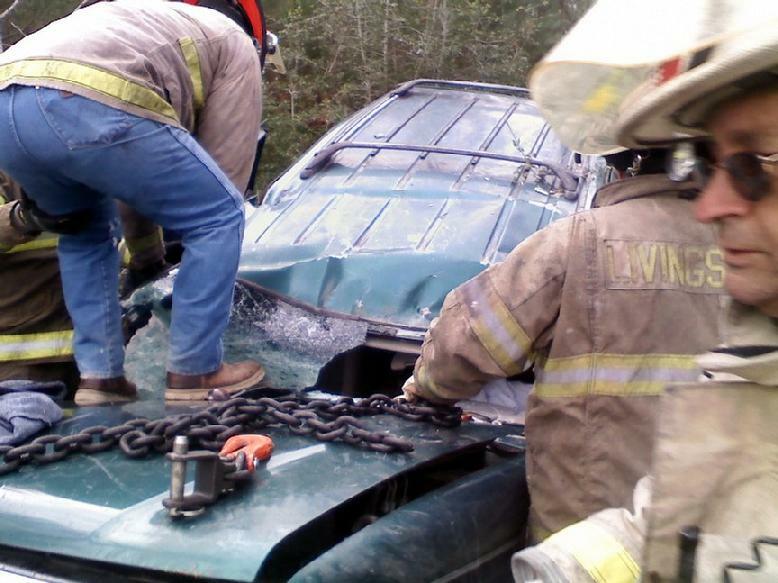 The firemen utilized the Jaws of Life to cut the roof off the vehicle to extract Mann. A crew from Americare Ambulance Service treated Mann at the scene and a PHI Helicopter was flown in to transport Mann to Hermann Hospital in Houston with unspecified injuries. All traffic on 943 was blocked for the helicopter landing zone. 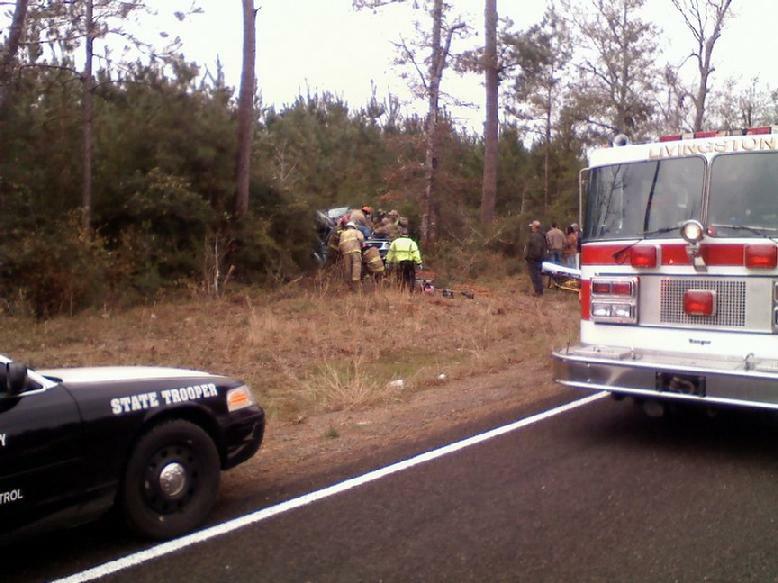 There was a smell of alcohol coming from the vehicle and DWI is not being ruled out. Mann will be issued citations for no seatbelt, no insurance, failure to maintain a single lane, and, pending toxicology reports, possibly a DWI. The scene was cleared and traffic fully flowing by 11 am.